Pride of Kentucky has a long tradition of musical excellence, and we are thrilled to be celebrating our 35th anniversary in 2019. Our chorus spirit still drives us to achieve in our craft, delight audiences and revel in ringing barbershop chords. We embrace our rich history and our forward-facing updates! Our members range in age from teens to seniors and represent the spectrum of today's women. We are students, professionals, technical and clerical workers, educators, super-moms and grandmas. Over the years we have had multiple members from the same families singing side by side on the risers and sharing their hobby with their sister, daughter, mother, or grandmother. We embrace diversity and believe that by bringing our inividual talents and strengths that our chorus family grows and succeeds as a team. 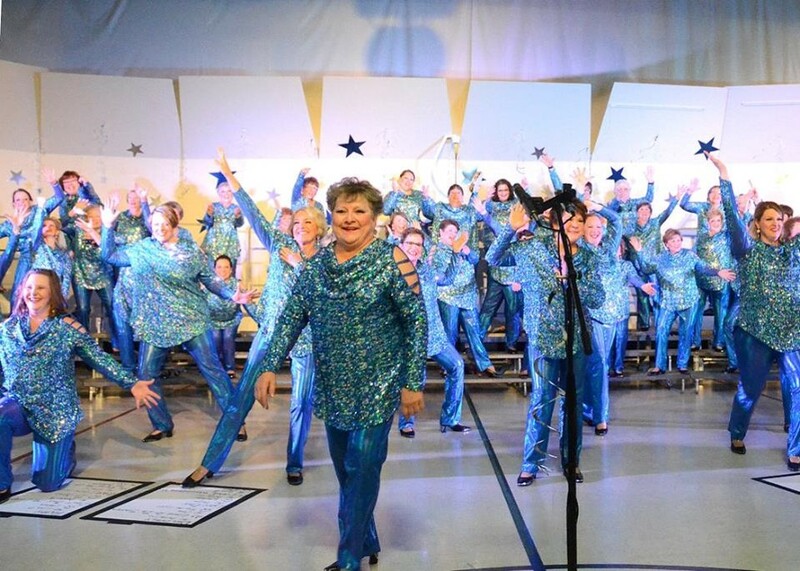 Our chorus sings all over the Kentuckiana area. We can be seen singing our National Anthem at a Bats or University of Louisville Basketball game, the Mayor's Thanksgiving Breakfast, a Derby event, or numerous local community shows. Of course, Pride of Kentucky is best known and recognized locally for our more than 30 year tradition of delivering Singing Valentines, our favorite fundraiser. Pride of Kentucky is a ten-time regional champion! Pride of Kentucky thrives on improving our craft and singing for a barbershop audience, striving to be our best when sharing our music and our message. We are proud of our musical accomplishments. As multiple time regional champions, we've competed in international competitions all across the United States and even Calgary, Canada! Pride of Kentucky is honored to have been a Top 10 medalist four times, placing as high as 3rd in the world! 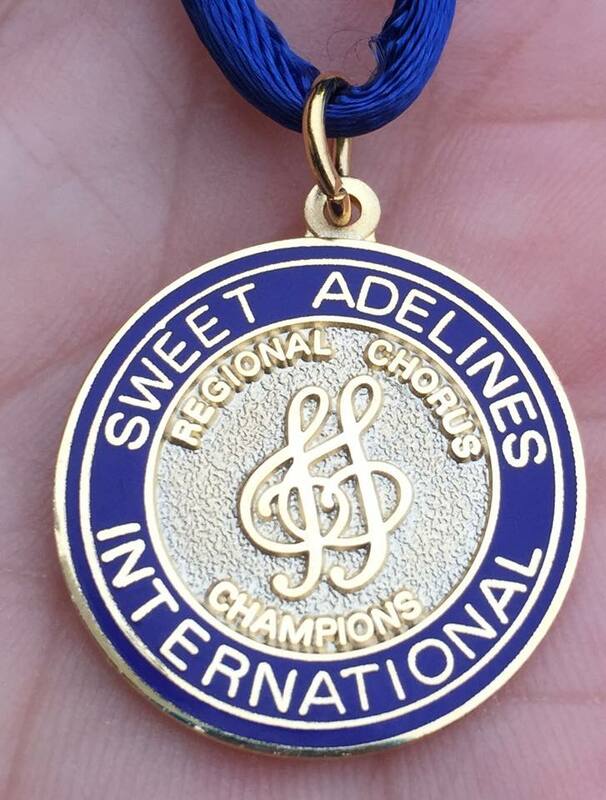 We are currently preparing for the Sweet Adelines Regional Competition in Covington, Kentucky in April 2019. Come join us! For contest and webcast information and dates visit the Harmony Heartland Region 4 Competition site. We had a blast in St. Louis! Pride of Kentucky had a wonderful expereince in our 12th International Competition in St. Louis. The city welcomed us with open arms and our Sweet Adelines organization delivered a wonderful week of education, competition and commaraderie. 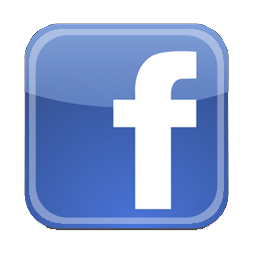 Stay tuned for more information on our next adventure!. 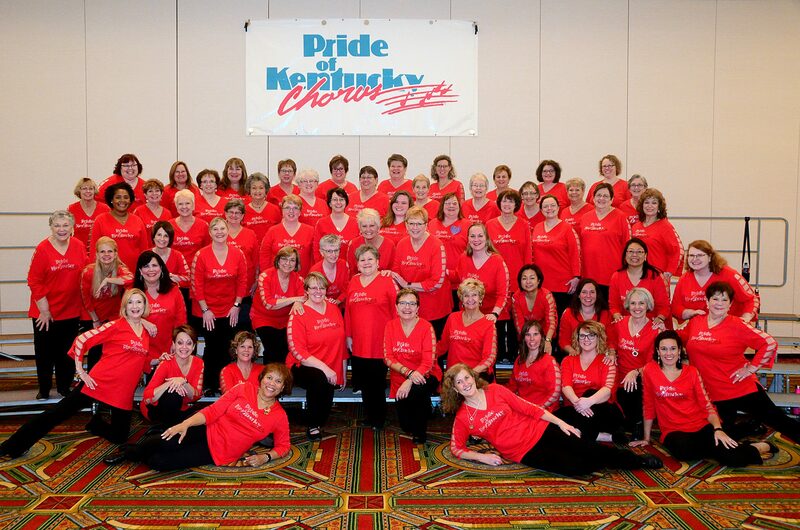 Pride of Kentucky Chorus has been competing at the International level since 1989. 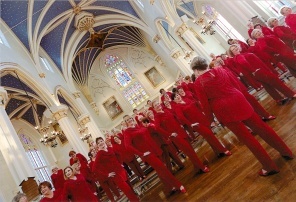 As a result of its first two regional-level wins, the chorus earned the right to represen t East Central Region #4 along with 25-30 other regional champions at the International Chorus competitions, coming in 17th in its first contest in 1989, in Miami Beach, and 11th in its second effort in 1992, in Baltimore, MD. 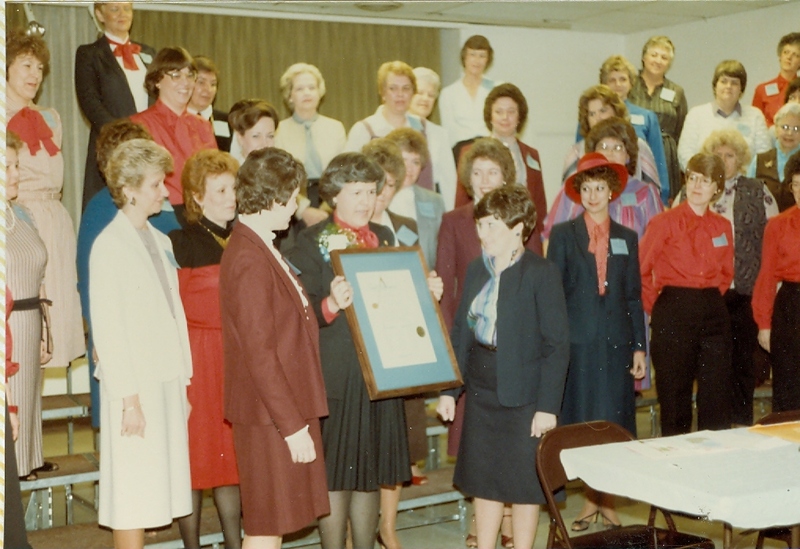 In 1998, second-place regional medalist Pride of Kentucky became the first chorus in the history of Sweet Adelines International to compete as an alternate at the international chorus competition, when the eligible champion chorus withdrew. With nine weeks to prepare songs and raise money to pay for the trip, Pride of Kentucky was proud to finish 15th of 27 choruses. After winning the 1998 regional championship, the chorus competed in the 1999 international chorus competition in Atlanta, GA, finishing 12th, one of only five choruses ever to compete in back-to-back years. After winning the 2000 regional championship, Pride of Kentucky again represented East Central Region #4 in the 2001 International Chorus Contest in Portland, OR, where the chorus finished 11th (one point from a 10th place medal) and was honored to perform its show package as mic-testers for the finalist session. 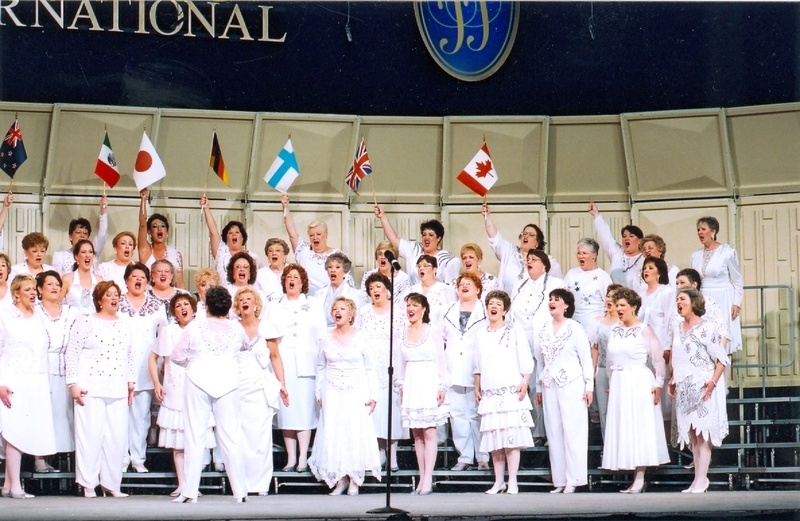 After Pride of Kentucky's regional championship in April 2002, we represented our region at the International Chorus Contest in Phoenix in 2003, where we placed 13th. The chorus won the 2004 regional championship and represented East Central Region #4 in the 2005 International Chorus Contest in Detroit, Michigan. The chorus was incredibly excited to be selected as one of the top 10 finalists, placing 9th. Competing in Calgary, Alberta, Canada was an incredible experience in the fall of 2007. We were so proud to cross the border with our shiny new passports and compete in such a beautiful city that made it truly an international experience for us. The chorus was honored to be announced as mic-testers, placing 11th, and singing for everyone on Chorus Finals Day. If there's a perfect place to sing barbershop, it must be Music City, USA. As the 2008 Regional Champion, Pride of Kentucky was honored to represent our region at the International competition in Nashville, Tennessee in October 2009. Taking the stage for our 9th international appearance, we were thrilled to hear our name announced as the 2010 International Third Place Medalist Chorus! Our 2011 6th place finish in Houston was a wonderful experience, as well as our contest experiences following that in Baltimore and Las Vegas. We continue to raise the bar for ourselves and look forward to the next challenge. On to St. Louis!